LibertySpace operates serviced office space in Dunfermline and the surroundings areas across four business centres, all just minutes off the M90 and the Forth Crossings and within 30 minutes of Edinburgh. All centres have free parking and access to a network of established businesses and entrepreneurs. Like you, growing, creating and developing exciting opportunities in a range of affordable serviced office spaces. Our Rosyth and Kinross centres have collaborate hubspaces. So the best option if you want to be part of a thriving business community. Our friendly and helpful staff are on hand to help with whatever you need. From booking meeting rooms to setting up a call handling service. They take the calls, meanwhile you are out doing deals. Our serviced office contracts allow you all the flexibility you need. Simple and transparent, allowing you to add space or downsize as your business evolves. We can also provide a range of additional services including call answering, meeting room rental, PA and admin services and storage space, so you get everything you need to work smarter. Our terms are affordable too so you can rest assured you're getting the best value. With a range of spaces and offices available, we can help your business or startup thrive. No business ever survived without coffee. So we have fully equipped kitchens too. It's home to a great range of offices from one person offices up to 20 person offices. There are lots of options so you can find the space that works best for you, whatever combination you need. The warehouse area has a range of great value storage solutions from indoor boxed crates to outdoor shipping containers. Coworking is at the heart of Kinross Business Centre. The building is housed in the historic Kinross County Buildings. The former court room serves as our fantastic co-working space, part of the Liberty Hubspace network. Aside from the coworking hub, the centre has a range of small business units, offices and studios. The coworking hubspace is ideal for individual business professionals who need access to touchdown space. Fully equpped with fibre broadband, its a professional environment in which to collaborate. Coworking space can be taken under our flexible terms and users can take advantage of our virtual office and mailbox products. Our offices and studios provide the same excellent facilities but offer a secured and private space. The breakout area in the Hubspace is available to everyone so you'll still be able to collaborate with the rest of the KBC family. Situated in the centre of Kinross with ample parking, both Perth and the Forth Road Bridge are just 20 minutes by car. The centre also features the wonderful The Court House Bar & Restaurant, a fantastic on-site restaurant. Ideal for working lunches and cake and coffee refuelling! With fabulous dinner and drinks menus, live music and their famous wood-fired pizzas, it's a great after work option too and Kinross Business Centre clients get 10% off their food bills! Looking for an office in Rosyth or a Dunfermline Business Centre? With the M90 and Forth Crossings just minutes away and the centre a mere stones throw from Liberty House, Rosyth Business Centre could be the answer. LibertySpace has a range of spaces available. Therefore whatever you need; from studios for one, to offices for up to ten staff, we can offer any combination of space. At the heart of the centre is the Liberty Hubspace, a coworking area where idea sharing and networking thrive and the coffee is always on. Are you an online or creative business? 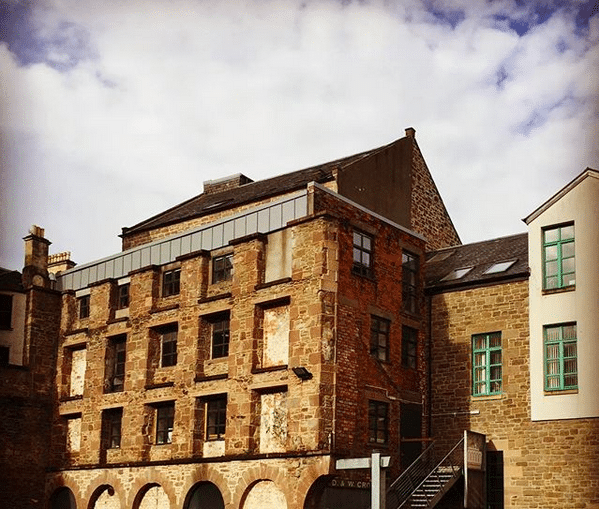 Studio spaces at Rosyth Business Centre are ideal for digital entrepreneurs, photographers, designers and musicians. If you are a maker, our small industrial spaces with workshops and storage will give you plenty of build room alongside all the comforts and conveniences of a serviced office. We are here to help your business flourish. With PA services, mailboxes and meeting rooms, fully connected with fast fibre broadband we can deliver all you need to make your business the best it can be. It is also the home of Acorn Enterprise, an organisation whose mission is to educate and nurture entrepreneurs and their businesses. Find out more about Acorn Enterprise and what they do here. Office space and storage units at Dalgety Bay Business Centre. Conveniently located close to the railway station, M90 and Forth Crossings. Join the many other businesses who make their base at Dalgety Bay Business Centre. A range of office space is available from studios up to ten person offices. We can also set you up with storage units of various sizes with 24/7 access. These are fully secure on our site and another affordable way LibertySpace can help your business succeed. As well as more traditional corporate clients, we're lucky enough to be home to a range of holistic businesses. These offer a whole host of therapies. With waiting areas, reception as well as parking, Dalgety Bay Business Centre is ideal for your therapy clients. While you get a great opportunity for some self care in your lunch break! As well as a fully staffed reception service, fast fibre broadband, meeting rooms and free parking, we can also offer add ons like telephone answering services allowing you to free up more time for building your business. All our office space options as always, offer the best value and flexibility. Allowing you to concentrate on the important stuff and work smarter. Looking for meeting rooms, a suite of offices, a small studio, a warehouse or storage in Rosyth, Dalgety Bay or Kinross? Whatever you need, Liberty can deliver space in any configuration and at great value. Our meeting rooms and event space rates are flexible and affordable. Our cowork space is a great alternative to working from home. An inexpensive place to work without distractions with part-time and full-time options. Our serviced office space licenses are simple and transparent. LibertySpace contracts move with you. As your business grows and expands, you’ll have lots of new things to consider. Worrying about space or storage needn’t be one of them. Looking for a permanent base for you and your staff? LibertySpace can deliver. Our spaces vary from one person offices to suites with meeting rooms and integral private offices. Talk to us about what you need and come and have a look around. We'll be able to set up exactly what you need. Easy. Flexible workspaces no matter what your business is. ...an environment buzzing with creativity and enthusiasm. Collaboration works. Our Hubspaces provide hot desks, fixed desks and an environment buzzing with creativity and enthusiasm. You’ll also benefit from a high speed internet connection. At Rosyth, you also have access to printing and photocopying through our friendly reception team. Flexible terms mean you can react to the demands of your business as they arise. Need a desk for a day a week or full-time touch down space to build your business? We can do that. Want your own dedicated desk for 6 months? We can do that too. HubSpace subscribers can also book private space for confidential meetings. The hubspaces are available 24/7 with a full time membership. You can use the rooms for whatever you choose, from presentations to interviews and booking is easy and affordable. Your room will already have high speed broadband and we can arrange AV, conference calling equipment and even good old fashioned pens and notepads! Want to feed your guests? No problem, our friendly staff can arrange whatever catering you need. All our locations can offer well-equipped private meeting spaces. We’ll work with you to create a package specifically suited to your business. Liberty House in Rosyth is a great solution for businesses who need build room to create their products. Our warehouse has a range of spaces that allow you to make or pack your products, store them and do all the day to day admin and logisitcs required. Our experienced staff can help you clarify what combination of spaces you need to make your business thrive and your products fly off the shelves! Business storage can be a challenge for entrepreneurs, startups and SME’s. Save space in your garage or spare room with one of our secure steel self-store units. 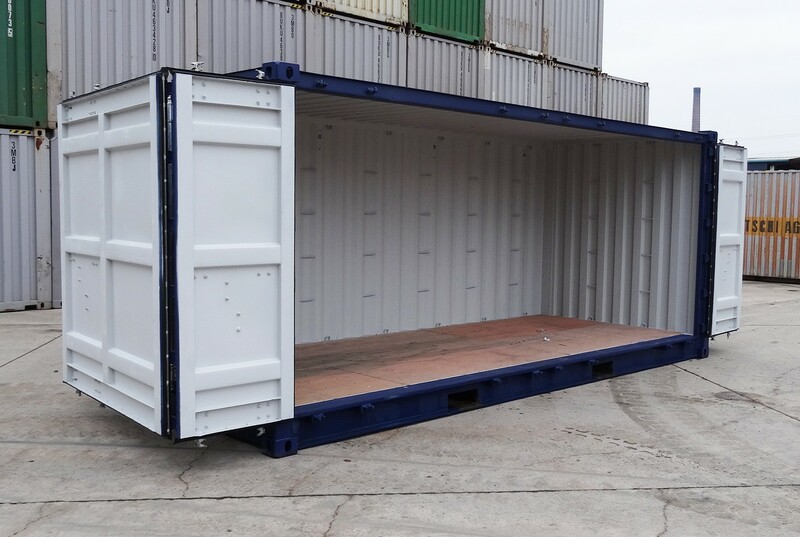 These 20ft² containers are accessible 24/7 and are CCTV monitored. For smaller items or document storage, our warehouse offers timber 288ft³ storage units. If you want to go large, we have a range of warehousing spaces with or without integrated workshops or offices. Ideal for fulfilment or logistics businesses.